Welcome to the website of the .lu domain name registration service. 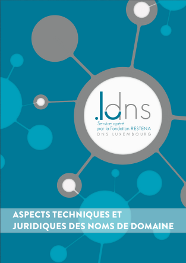 In Luxembourg, the management of the country code top-level domain (ccTLD) .lu is a public service provided by the RESTENA Foundation (high-speed network for the education and research community in Luxembourg). The RESTENA Foundation coordinates online resources at national level and manages .lu domains through its DNS-LU service. Set up in 2000, the Foundation brings together research and teaching bodies of all kinds, as well as the ministries for education and research. RESTENA Foundation’s DNS-LU service is the authority responsible for central management of domain names registered under the .lu top-level domain and ensures that the system runs smoothly. The Domain Name Charter contains the guidelines applied for domain name registration. It is the result of direct collaboration between the RESTENA Foundation and the private and public stakeholders representing the local internet community. This section contains all the tools and techniques available to current and future domain name holders in preparation for registration and management of their .lu domain names. Frequently Asked Questions. Current and future domain name holders can find answers and explanations to help them with registration and management of their domain names.